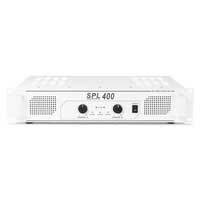 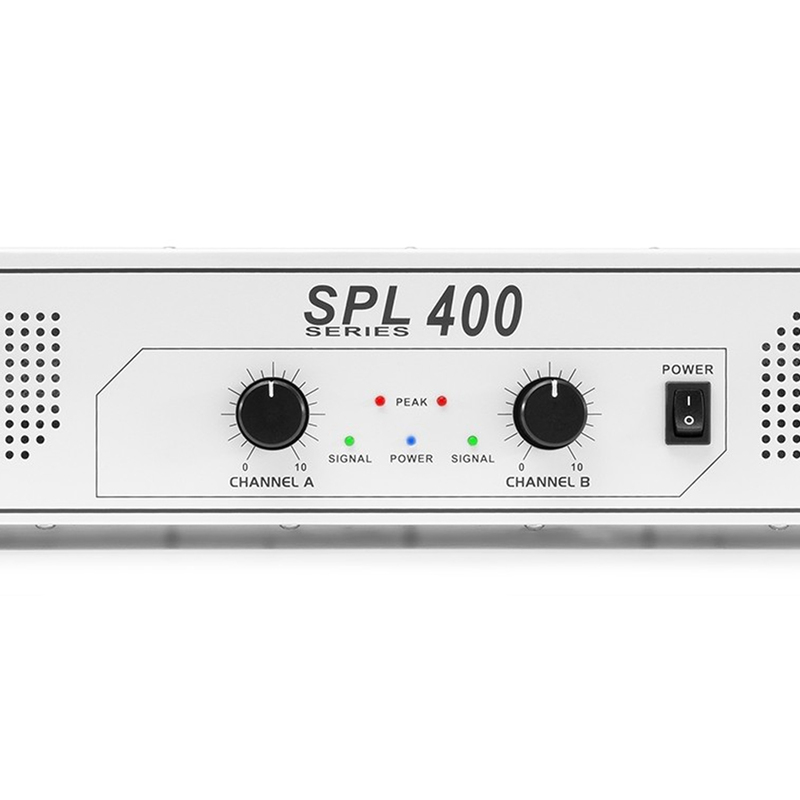 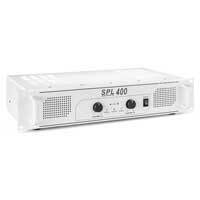 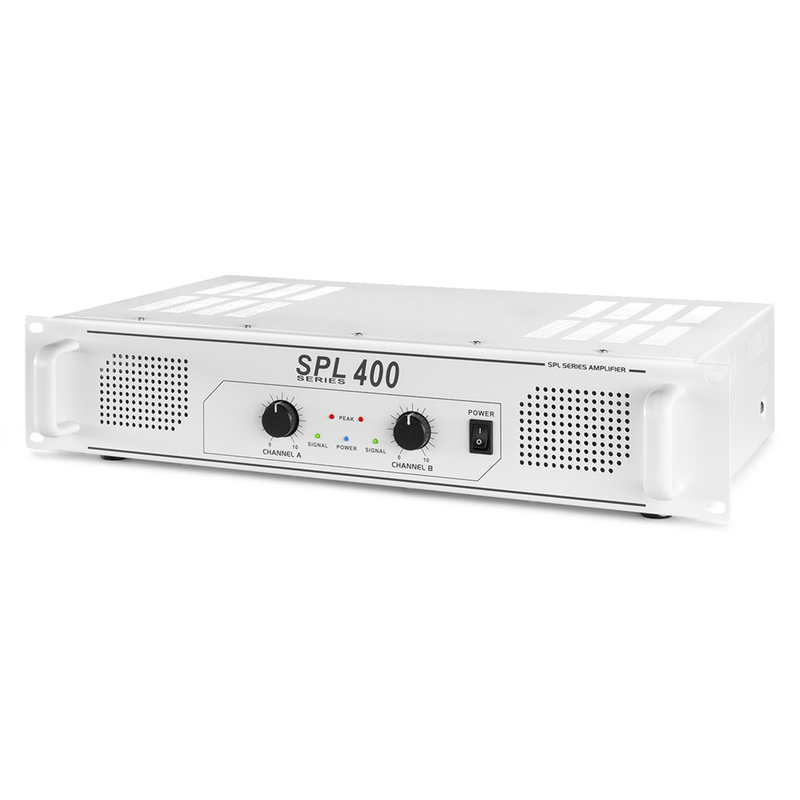 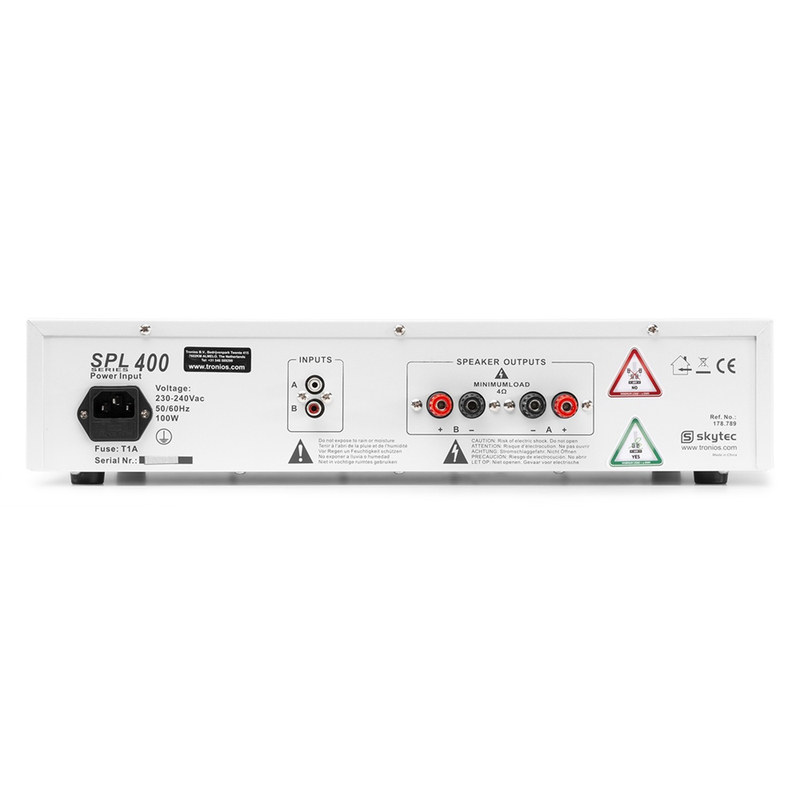 A fantastic amplifier from Skytec, the SPL400 has 2 channels boasting 200 watts each, which should not be missing in any home audio installation, small parties and PA set-ups. 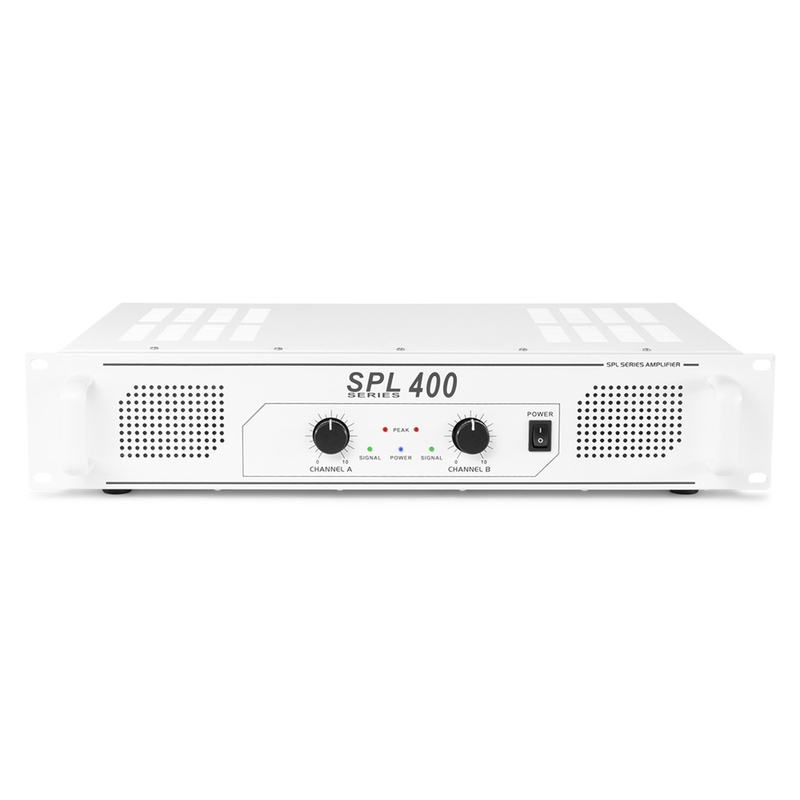 This white amplifier is easily rack mounted and has a stereo RCA input for the connection of a Television, Computer, Game Console, CD- & DVD player, Tuner and more. 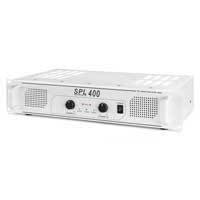 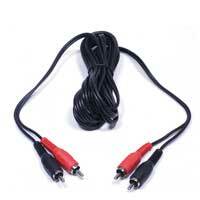 This amplifier is a must for the home audio enthusiast and other small applications. 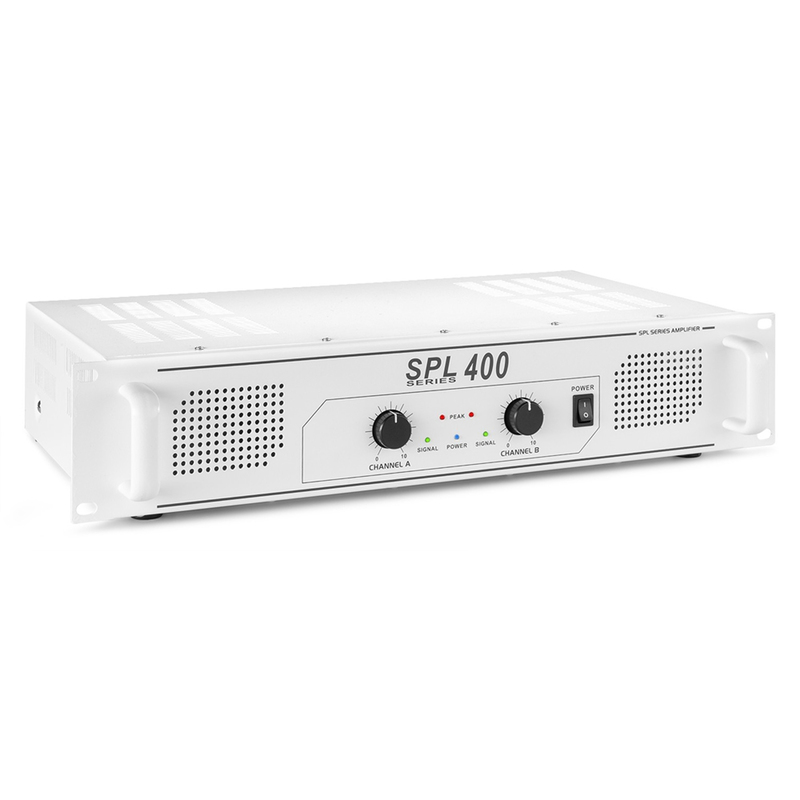 Not only will this amp do the job, it will do it with ease and look great at the same time!